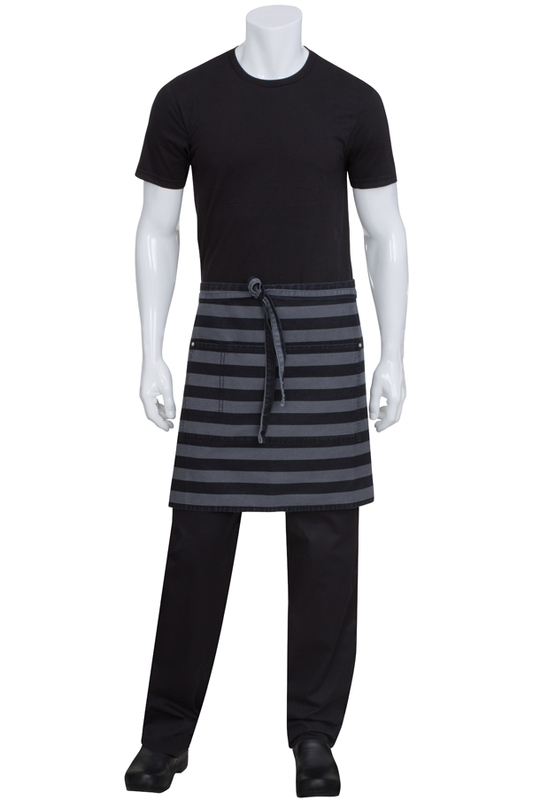 Our new urban denim butcher stripe bib apron is manufactured in an 8.3 oz, 83% cotton 17% poly denim fabric. 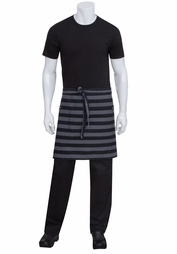 The black and gray stripes together with the striped self ties give it a modern chic look. - Wears just like your favorite pair of denim jeans. Featuring a large divided pocket with cellphone section. This apron is a larger cut for extra comfort.